Ok, so I must admit...I was nervous about jumping on the "Elf" bandwagon. After all, do students really need one more reason to lose their minds get excited this time of year? Finally I decided that the answer is YES! My first graders are at an age where magic and mystery fill the season and I wanted to create special memories for them. 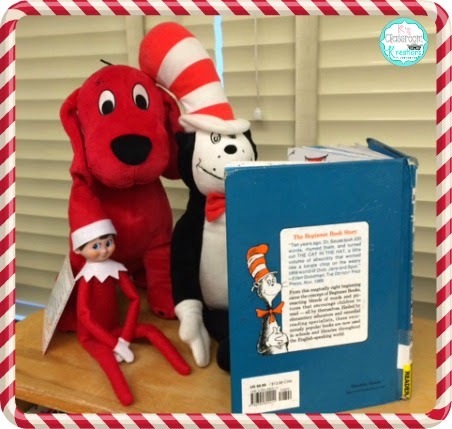 I decided to add a twist to my visitor's purpose and have been using him to help implement random acts of kindness each day. 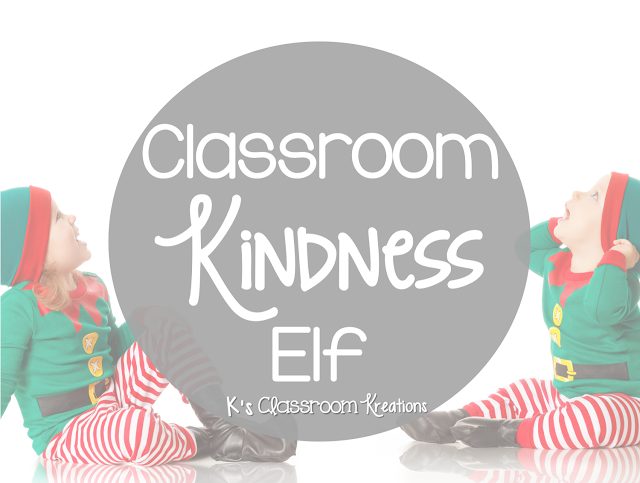 ******** This post has been updated since the original to include tons of ideas from the last few years of using a classroom kindness elf. 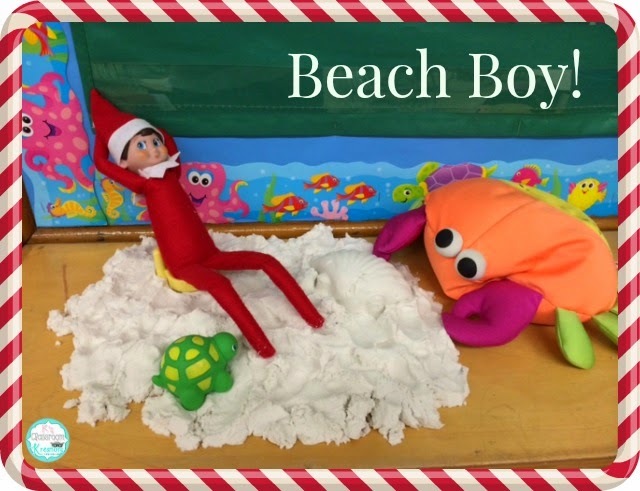 Although his name may have changed (last year was Elvin D. Elf), the joy remains and I can now say for sure this is one on MY favorite parts of the year, as well as my students. Each year I like to plan a special frozen delivery which usually requires the help of a team mate. Last year the speech teacher acted as my special helper by delivering the package. 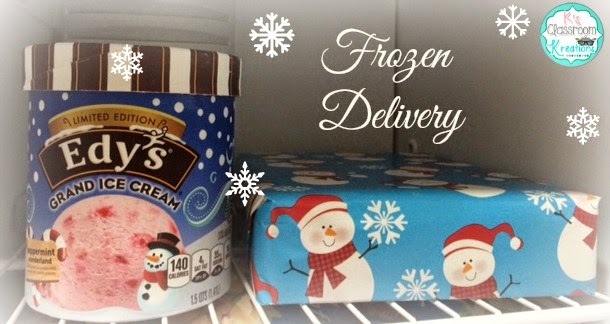 I had placed it in the freezer the night before (next to peppermint ice cream of course!) and then again in the freezer at work. The "frozen" package arrived from the North Pole nice and cold. 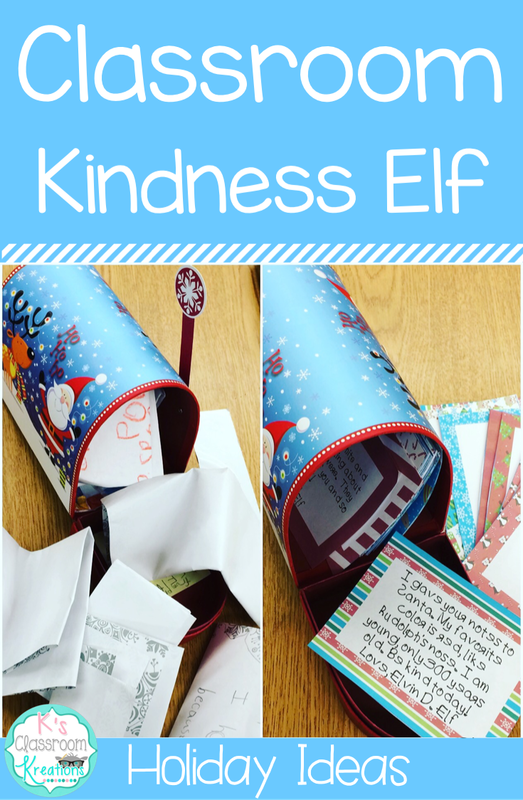 Once we opened the package I read a little letter to them from my Elf Inspired Acts of Kindness pack. In order to activate his magic we had to vote on his name. 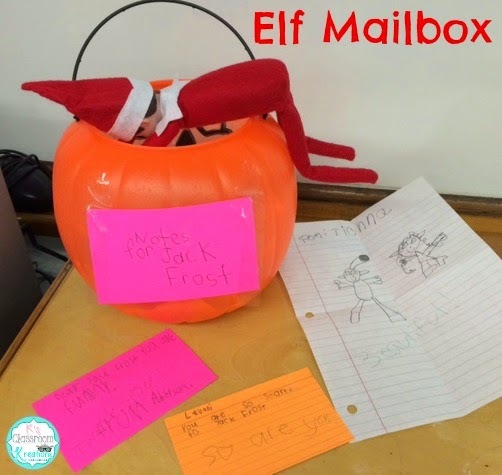 Our winning name was Jack Frost one year and Elvin D. Elf last year. I can't wait to see what they come up with next! My plan is always to leave one note each day with an act of kindness (treat, writing task, cleaning, kind words, etc.). BUT, I usually have waaaaay too much fun and the elf moves around a little extra. 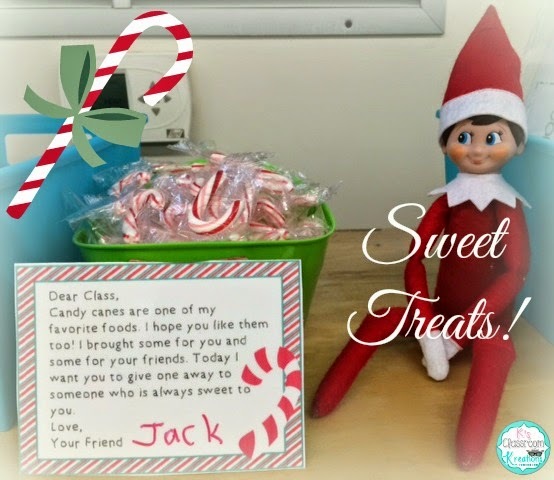 My poor co-workers are probably over my obsession with Jack/Elvin D Elf but I just can't help it! The squeals of excitement are SO worth it. Now that I know what a huge hit our classroom elf is I have been on the hunt for some elf sized accessories. I found this adorable mini mailbox as well as some other elf sized treats at Dollar Tree. His adorable elf jacket was a gift from one of my students. Too cute! 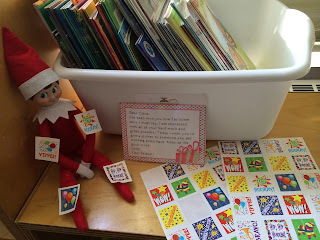 My kiddos are equally obsessed with writing our classroom elf letters. They seriously BEG me to go to Work on Writing during our Daily 5 time each day. Teacher win right? The first year I had him I really didn't know what to expect so I had to improvise with our mailbox (Jack-o-lantern). Last year I upped my game for sure! I found this little mailbox and printed some colorful Christmas paper. 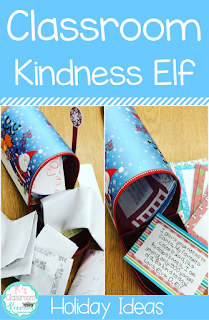 I used some to write personalized notes to each child (using a cute elf like font) and left the rest blank for them to send letters back with. You should see the pure joy on their face when a custom note was left praising them for a recent achievement or sending them well wishes when something was challenging. I also decided to enter the 21st century by having an email address set up for Elvin. I just created a gmail account and sent notes back and forth to my school email. My class helped me write responses. Like I said...I got a bit obsessed! 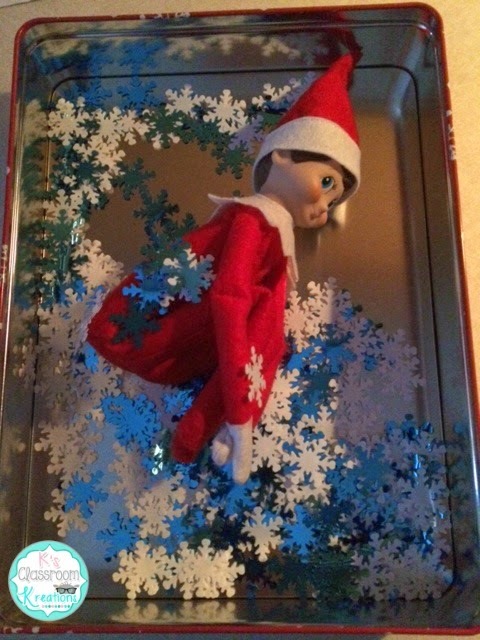 This was an easy way to help reinforce the fact that the elf was watching their great choices (and not so great). It also meant I could come up with something on the fly and not have to worry about elf fonts and printing. 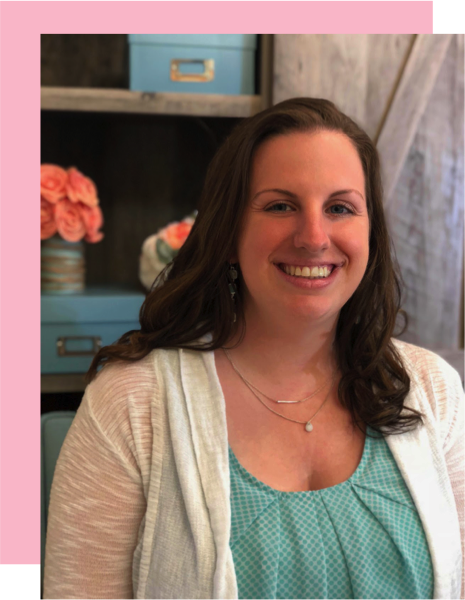 I hope you enjoyed getting a sneak peak in my classroom and found some new ways to add kindness and excitement in your own classroom. I am looking forward to seeing what antics he comes up with next! 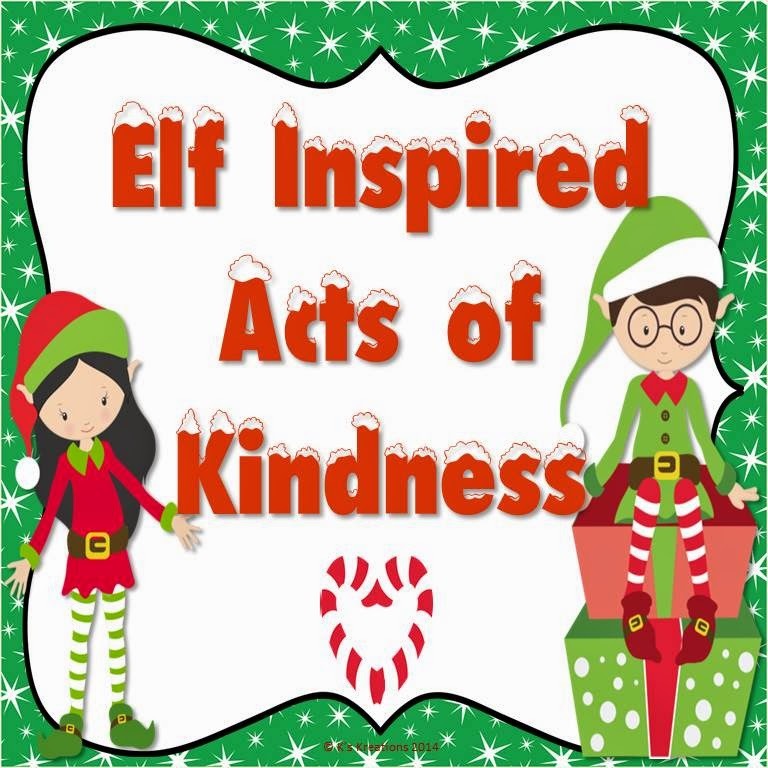 If you want to use your special classroom elf as an extra way to keep kids on the nice list, be sure to download my freebie. 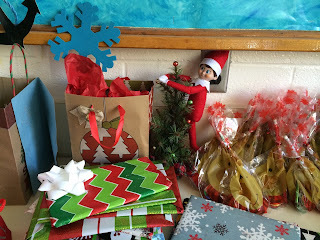 I included a letter from the North Pole, notes from the elf with classroom ideas, and a materials list. Enjoy! I love this! It's just what I was looking for. Thank you for sharing it! I am doing it for the first time this year and I wasn't really keen on doing it for a behavior management thing, so the acts of kindness is PERFECT. I'm big on manners and being kind and respectful in our classroom, so I was really excited to find this! I wondered if you did a farewell letter on the last day? Hello! I'm so glad you found some helpful ideas! 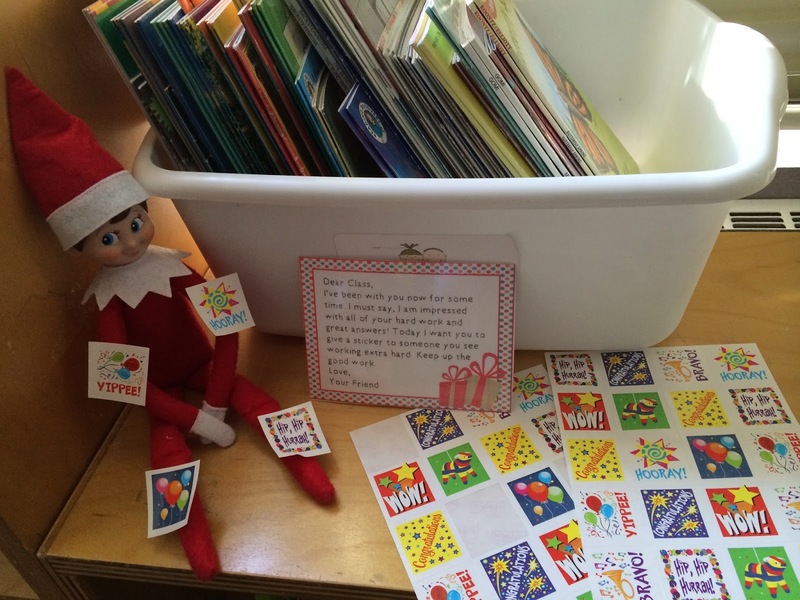 My kids became so attached to Elvin our elf that I did do a farewell letter. 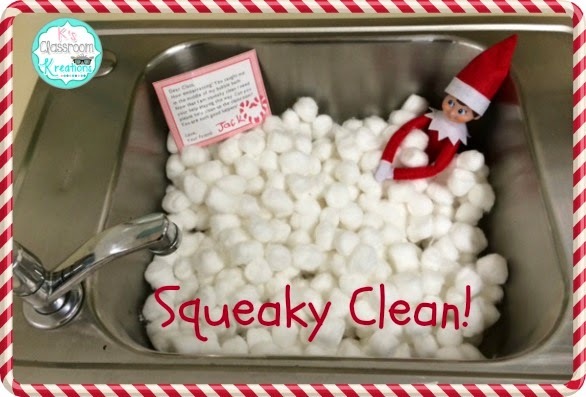 Our elf left the day of winter break to help with the transition. However my little guys still missed him and his notes so he made a surprise return for my birthday in March. He emailed us a few days before letting us know he was enjoying his off season job of birthday monitor (recording birthdays so Santa knew how many people to add to his nice list lol) and that he would love to stop by. My kids loved his return and he even brought mini cupcakes. There is actually a little elf cupcake outfit and hat that goes with the elf on the shelf brand. Hope that helps!